*When using the Garnier Whole Blends Nourishing system of shampoo & treatment. 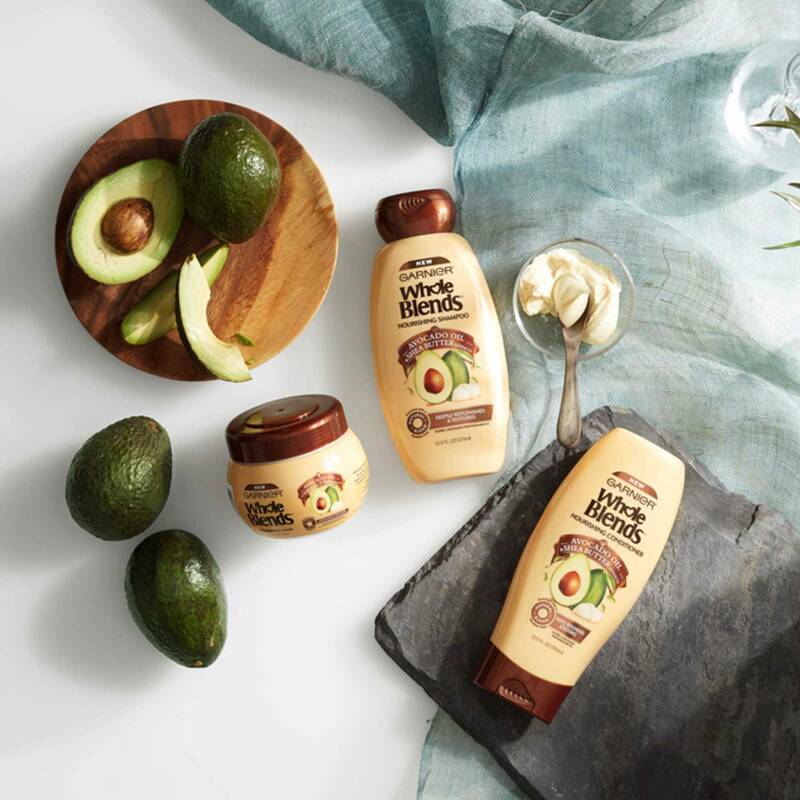 After shampooing with our Nourishing shampoo, apply a generous amount of treatment to hair. Gently work through hair, making sure to cover ends. Wait 3 minutes, then rinse thoroughly. Rated 5 out of 5 by Josephine Pucci from Like Hair salon Treatment. Smells great too. What an amazing product for asian hair like mine. I got a long locks that I rarely cut nor treat for a hair spa at the salon. My hair is dry and dull after sometime of not trimming it frequent washing. The mask helped to restore the dry and dull looks. Im impressed with the smell and the effect on my hair after the application. Amzing results! Rated 1 out of 5 by Wolfgoddess3 from Not Curly Girl Method Approved I really wanted to try this for a deep conditioning treatment but after looking at the ingredients it contains waxes and alcohols that are not CGM approved. So all you curly girls out there who follow the Curly Girl Method, move along.... Sorry! Rated 5 out of 5 by tashamansfield from Oh So Silky I am in love with this product and so is my sweet Aunt who I help care for. When I applied it to her hair I was surprised at how well it stayed on. As I was blow drying it she smiled and said, "Look at my hair, it's Oh So Silky!" Rated 3 out of 5 by Hudy1213 from Ok, but wouldn't buy I am giving this product three stars, but not because I didn't like it. The hair mask worked and I actually like the scent of it. My hair was soft and silky after using, but I get those results with any conditioner. It might work better on other hair types, but it did nothing extra for me. I have very fine straight hair, and don't dye my hair either. Also the jar is awkward. I had to put a gob on my head and reseal the jar right away so the product didn't get ruined. A bottle with a squeeze top would make much more sense. I want to give a better rating because I liked the product, but don't see the benefits over regular conditioner. I included a before and after shot and other than a difference in lighting I can't tell the difference. Left is before and right is after 3 treatments. Rated 5 out of 5 by Smashleyashley from Amazing hair product This was an amazing nourishing hair treatment made my hair so soft and shiny. Did not weigh it down and smelled very nice. 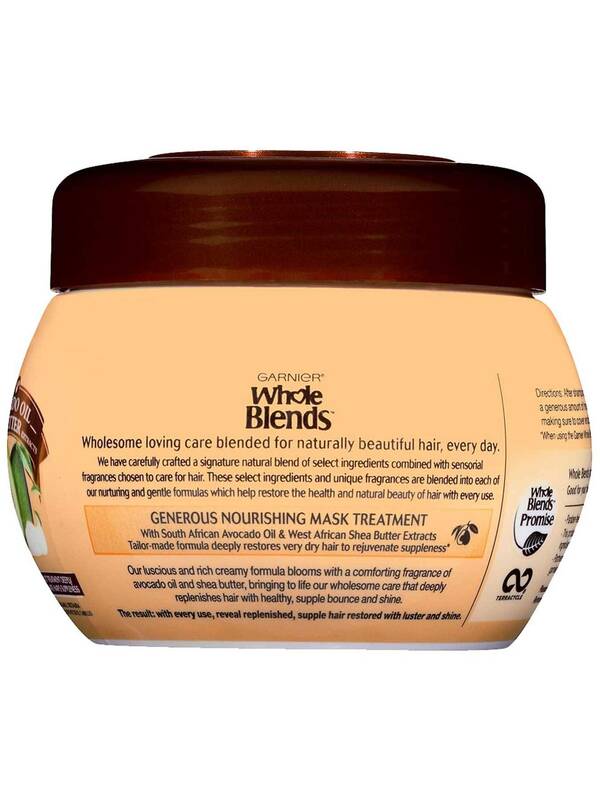 Rated 5 out of 5 by emahgarcia from Nourishing hair mask Love love this stuff! This has avocado oil and shea butter, which nourishes and makes my hair soft. To give it that extra deep conditioning I will apply it to my hair and leave it for a good while then I go to take a shower. At first I wasn't sure it would make my hair feel any different but it does. My hair was looking dry and damaged, but have seen that it doesn't look so damaged after using several times. I flat iron it every other day and i tlooks healthy! Thanks Garnier!!!! Rated 5 out of 5 by Tacontria from Great mask for me I think this a great product i was a little unsure at first due to the fact im natural but this hair mask was a winner. 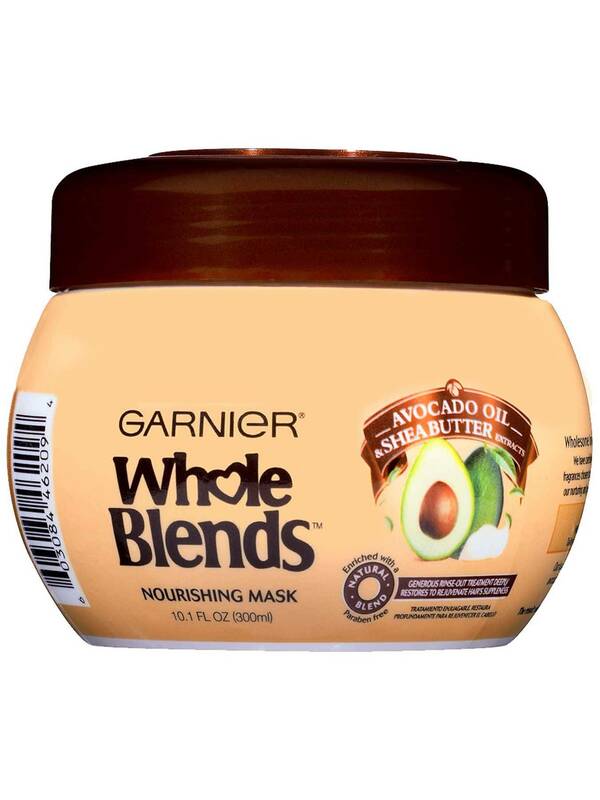 It made my hair soft and super manageable my hair is very thick and the mask made it easy to style afterwards,i defiantly will keep this on my hair list.